Nestled between the popular areas of San Francisco and Los Angeles is the often undiscovered area of California’s Central Coast. With the rolling valleys, serene beaches, and cresting hilltops, this region has become more recognized throughout the years. Unknown to many Central Coast residents and visitors though, is the rich history of famous figures who lived and visited this amazing space. From historical figures like Juan Rodríguez Cabríllo, to modern celebrities like Chuck Liddell and Zac Efron, this area boasts a fascinating list of prominent people. A skilled seaman and navigator, Juan Rodriguez Cabríllo started his expeditions to discover new lands early in his life. Born in Spain in the late 1400s, Cabrillo went on to experience the world, including Cuba, Mexico City, Guatemala, El Salvador, and eventually California. Cabrillo began his Golden State journey in what is now San Diego and worked his way up to Monterey Bay and Channel Islands. 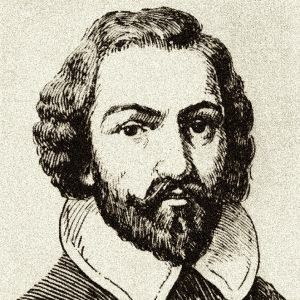 Today, a portion of California State Route 1 from Las Cruces (Santa Barbara) to San Francisco is named the Cabrillo Highway to commemorate Juan Rodriguez Cabríllo’s discoveries. Did you know that the city of Atascadero was originally developed as a utopian society? In 1913 E.G. Lewis purchased the land that is known today as Atascadero, CA in hopes in create the Atascadero Colony. Plans to create this utopia were fueled by Lewis’ dreams of perfecting a beautiful city for his American Women’s Republic. He even built the highway we now know as State Route 41 to connect Atascadero to the coast of the Pacific Ocean. Today, the city still contains historic buildings from Lewis’ original designs and can be visited for tours. Visit www.visitatascadero.com/atascadero-historical-society-museum for tour information. 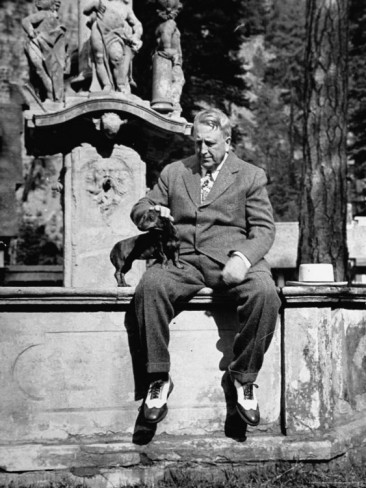 Considered the father of modern America journalism, William Randolph Hearst built the United State’s largest and most famed newspaper chain. He was hugely successful and prosperous, dedicating his time and money to sponsoring writers, cartoonists, and even the first world-wide voyage in a Zeppelin airship. 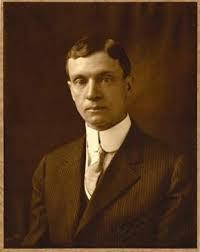 In addition, Hearst had a passion for properties and is well-known for his many residences across the world. His property, Hearst Castle, in San Simeon, CA is the definition of lavish living, furnished with extravagant furniture and bursting with expensive art. Better described as a handful of mansions, rooms on the grounds were even brought directly from great houses of Europe. Hearst Castle became a hugely popular destination for political figures and celebrities alike, with guests such as Charlie Chaplin, Cary Grant, Charles Lindberg, Franklin Roosevelt, and Winston Churchill all making the voyage to the Central Coast in order to experience the beauty of Hearst’s dwelling. Today, Hearst Castle still stands and is a popular tourist destination. Head to hearstcastle.org for more history and information on tours. 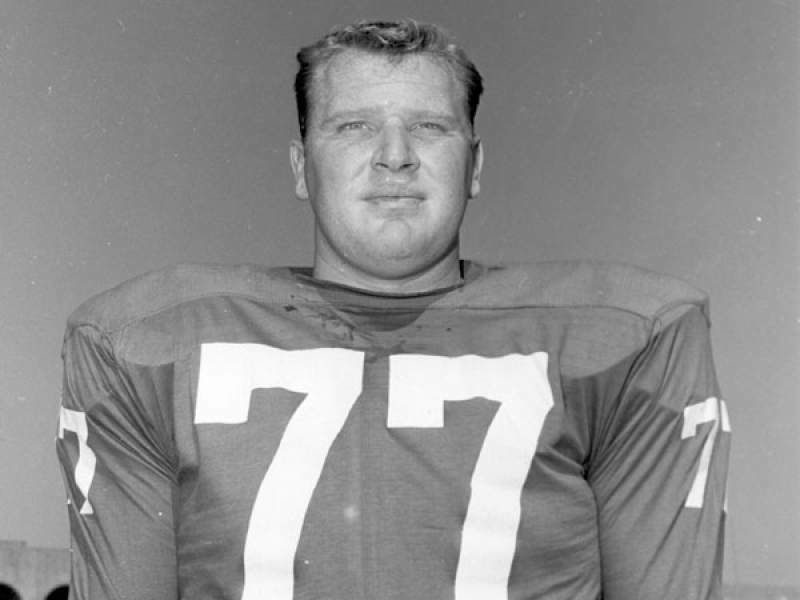 One of the biggest names in American football began his famed career as a football player at Cal Poly San Luis Obispo. After being drafted to the Philadelphia Eagles, Madden was injured and ended his professional career. He continued to be involved in the world of football though, where he gained a permanent legacy through coaching. Still regarded today as the best Oakland Raiders coach in history, he led the team to many victories including winning Super Bowl XI. Continuing his football fame, Madden then went on to have a successful broadcasting career and became the face of the celebrated Madden NFL video games. Popular musician and satirist Alfred “Weird Al” Yankovic also attended college at Cal Poly San Luis Obispo in the 1970s. An architecture major, he worked at the university’s radio station where he spent his time as a DJ. 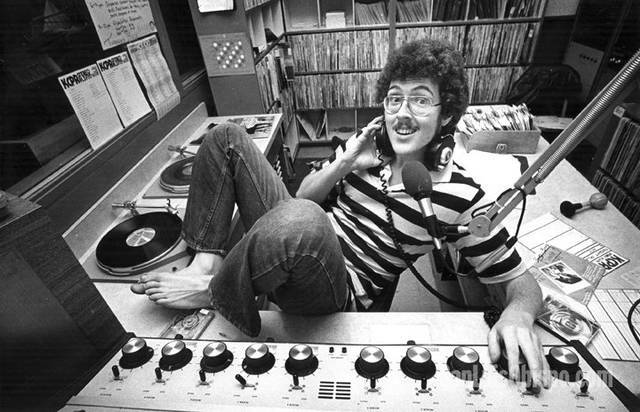 During a late shift at the station, Yankovic gained the confidence to record his hit “My Bologna” in the men’s restroom across from the KCPR building. Now described as a comic genius, many of Yankovic’s hits are still based off of popular music and tops the charts. 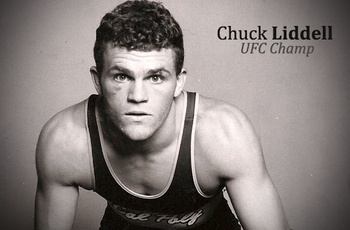 Chuck Liddell started his professional fighting career on the wrestling team at Cal Poly San Luis Obispo. He then made his UFC debut in 1998 and went on to win the Heavyweight Champion title. Today he still holds the title of most knockouts in UFC history, with 13 in his career. Liddell lived in San Luis Obispo prior to his retirement to train and run his gym, S.L.O Kickboxing (renamed The Pit). Famous actor Zac Efron was born in San Luis Obispo and later raised in Arroyo Grande. A very successful student, Efron became interested in theater productions and worked at The Great American Melodrama and Vaudeville. 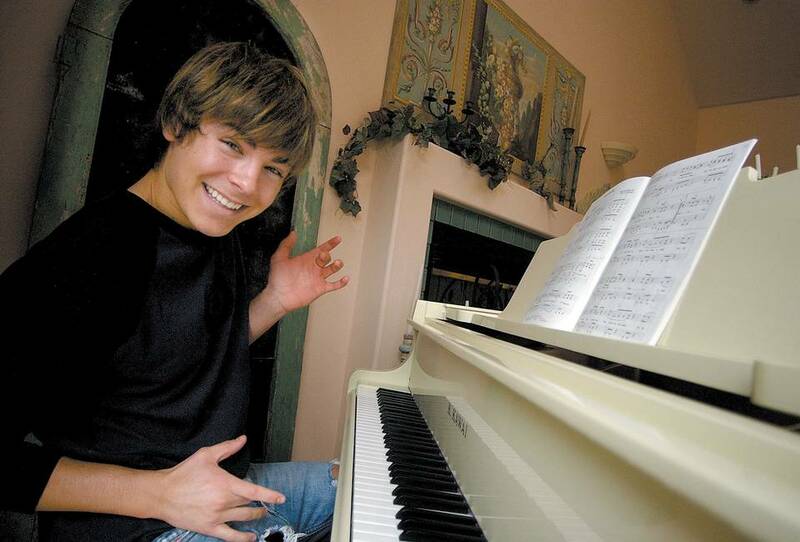 After attending singing and acting lessons, Efron performed in many plays and was discovered by a Los Angeles agent. Despite being accepted to USC, Efron postponed his education to pursue his career. This has proved to be a wise decision though, as Efron is now considered one of the most popular actors in the industry. Some of his most popular productions are High School Musical, 17 Again, Hairspray, and Neighbors. Businesses and residents alike love the secret history hidden all over the Central Coast. 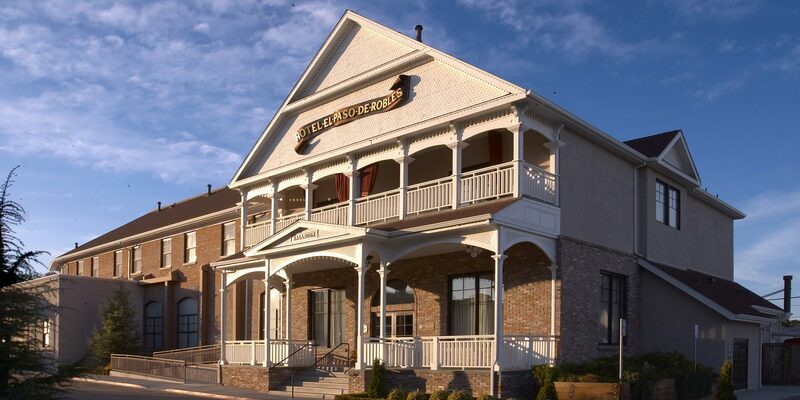 Many who are interested in an all-encompassing historical experience love to visit the Paso Robles Inn, which started construction in 1889 and after renovations, still stands today. The Jesse James Suites provide a mix of luxury, comfort, and history, with each room centered upon an important historical figure related to the Inn. The Blackburn Suite is a favorite, which tells the story of the Blackburn brothers and the hotel’s origins. In a time of stagecoach robbers and lawless gangs, the brothers made efforts to stop the crime and went on to build what is now known as the Paso Robles Inn. Fun stories like this are found in each of the Jesse James Suites, along with at the hotel’s bar. The bar =includes signature drinks like “Marilyn’s Kiss” and “Helen’s Ghost,” sol ask the bartender about a cocktail’s history to step back in time and experience the history of Paso Robles! Check out http://cdn.pasoroblesinn.com/3558169391/cms/pressroom/new_lounge_menu_web_may2016.pdf for more information on these special drinks! Visit www.pasoroblesinn.com for information on history and reservations.